Through October 22 – South Carolina State Fair at the State Fairgrounds. Here is a chance to enjoy the fabulous fall weather with run amusement rides, lots of exhibits, agricultural shows (take a camel ride or see the singing chicken show), fun foods, and live entertainment, to include ZZ Top, Tobymac, and Keith Sweat. For more information call (803) 799-3387 or visit http://www.scstatefair.org/?utm_source=google&utm_medium=cpc&utm_term=branded. You can also learn more about the history of the State Fair by visiting http://www.sciway.net/sc-photos/richland-county/sc-state-fair.html. Through October 31 – Hallo Scream Laser Lights at the South Carolina State Museum. See a laser light show to songs such as Monster Mash and Thriller. For more information call (803) 898-4921 or visit http://scmuseum.org/explore/planetarium/. October 31 – Disturbia Down South at 2615 Hwy. 6 in Gaston. If you are looking for a new Halloween scare, this is one you’ll want to check out! For more information call (803) 580-1110 or visit https://www.facebook.com/disturbiadownsouthsc.81/?ref=page_internal. Through October 31 – Gilbert House of Terror on Harley Taylor Road in Gilbert. Open Friday and Saturday and the weekend before Halloween also Sunday and Halloween Day. Come out and see if this is one of the scariest events you’ve ever attended with all proceeds to benefit non-profits in the Gilbert area. For more information call (803) 892-5396 or visit http://www.gilberthouseofterror.com/. Through November 3 – The Museum of Oz at the South Carolina State Museum. There will be 4-D shows, planetarium shows, a chance to walk the yellow brick road, and special events throughout the month. For more information call (803) 898-4921 or visit http://scmuseum.org/museum-of-oz/. Through November 4 – Dark Nights Terror Trail at 2076 Hwy. Church Road in Elgin. Take a walk through the woods . . . if you dare! For more information visit http://www.darkknightsterrortrailsc.com/. Through November 4 – Deceased Farm at Clinton Sease Farms 382 Old Farm Road in Lexington. If you are looking for a good scare, this will definitely be the event you’ll want to attend! For more information visit http://www.deceasedfarm.com/. Through November 12 – Corn Maze at the Clinton Sease Farm on Old Farm Road in Lexington. Come out and see how long it takes you to find your way through this challenging maze! For more information visit http://www.clintonseasefarm.com/. October 19 – “Lewis Brice” at Vista After Five outside of the Music Farm. This will be a fun fall outdoor concert filled with country music! For more information visit http://www.musicfarm.com/event/1576899-vista-after-five-lewis-columbia/. October 22 – Jewish Film Festival: “There Are Jews Here” at the Nickelodeon Theater. Prior to the film about the disappearance of small town Jewish communities will be a discussion on small town Jewry and there will be a nosh with Dr. Sam Richardson, founder of the Small Jewish Communities Project, at the Robert Mills Carriage House. 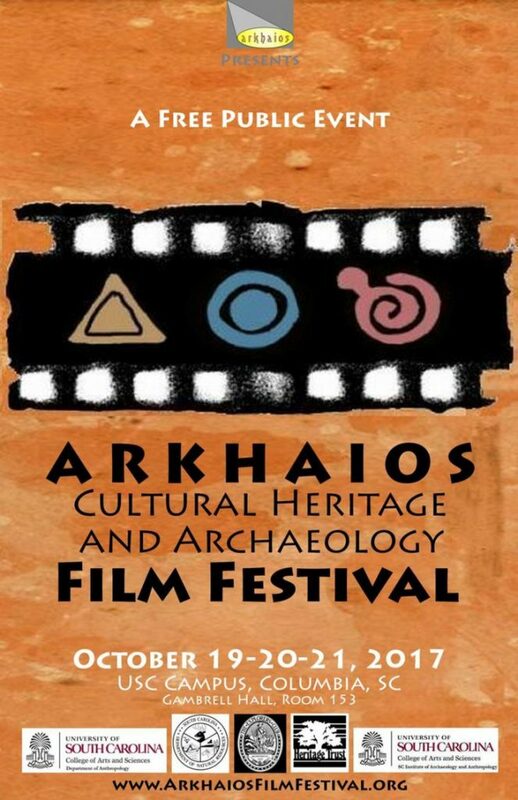 For more information call (803) 252-7742 or visit http://www.historiccolumbia.org/events/columbia-jewish-film-festival-there-are-jews-here. October 24 – Storytime in the Gardens at the Robert Mills House and Gardens. Children will hear stories and songs while sitting among the scarecrows in the garden and participate in old fashioned games. For more information call (803) 252-1770 ext. 23 or visit http://www.historiccolumbia.org/events/storytime-in-the-gardens-2-2. October 25 – “Andy Mineo “ at the Music Farm. Here’s a chance to enjoy an evening of rappin’! For more information visit http://www.musicfarm.com/event/1509218-andy-mineo-columbia/. October 26 – “Night of the Living Dead” at the Nickelodeon Theater. If you are looking for a good fright for Halloween, this is the show for you, with a Zombie Photo booth provided and trivia for the fanatics of this show! For more information call (803) 254-8234 or visit http://nickelodeon.org/films/night-of-the-living-dead/. October 26 – “Michael Carbonaro Live” at the Township Auditorium. In this amazing magic show you will have the chance to be a part of the show so don’t miss the chance to say you were part of a magic show! For more information call (803) 576-2350 or visit http://www.thetownship.org/events/. October 26 – “Corey Smith” at Vista After Five outside of the Music Farm. This will be a fun evening to spend outside with this great musician! For more information visit http://www.musicfarm.com/event/1555591-vista-after-five-corey-columbia/. October 26 – Growl at the Moon at the South Carolina State Museum. Here’s a chance for the adults to have the museum to themselves, with good food, craft beer, music, a planetarium laser show, take a Ghost Tour, make a digital bling, and travel to Oz in the 4D Wizard of Oz Experience. For more information call (803) 898-4921 or visit http://scmuseum.org/calendar/growl-at-the-moon/. October 26 – 29 – “Rockin’ Monster Mash Revue” at On Stage Productions in Lexington. If you are looking for something fun to do for Halloween, this just might be the show you are looking for so come check it out! For more information call (803) 351-6751 or visit http://www.onstagesc.com/Shows.html. October 27 – Halloween at the Park at Crooked Creek Park in Chapin. Bring the little ones out for trick-or-treating on the trail, carnival games, a SCREAM contest, a costume contest and watch the famous show, “It’s the Great Pumpkin Charlie Brown”. For more information call (803) 345-6181 or visit http://www.icrc.net/halloween-at-the-park-2016-10-21. October 27 – Midland Madness Fall Festival at the Midland Baseball Complex on Fish Hatchery Road in West Columbia. This will be a fun event with a trunk-or-treat, a costume contest, kids in costume will get a free hot dog, and there will be a bake sale and BBQ plates for sale. For more information visit https://www.facebook.com/events/304719483326152/?active_tab=discussion. October 27 – “Third Eye Blind” at the Music Farm. Come out for an evening of terrific rock music with this award winning band! For more information visit http://www.musicfarm.com/event/1534256-third-eye-blind-columbia/. October 27 – CockStock Homecoming Concert featuring “21 Savage” at the Colonial Life Arena. For more information call (803) 576-9200 or visit https://www.coloniallifearena.com/2017-cockstock-homecoming-concert-featuring-21-savage.php?eventid=145. October 27 – Trunk or Treat at the Robert Mills House. Here is a fun opportunity for kids and adults alike to dress up and either provide a vehicle trunk decorated and filled with candy for the kids, with contests for the best costume, the best decorated trunk, and scarecrows so don’t miss out on this safe, fun, and free event! For more information call (803) 252-1770 ext. 23 or visit http://www.historiccolumbia.org/events/trunk-or-treat. 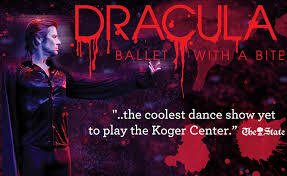 October 27 – 28 – “Dracula Ballet with a Bite” at the Koger Center for the Arts. This favorite Halloween classic is one you must see if you haven’t and will enjoy even if you already have! For more information call (803) 777-7500 or visit http://columbiacityballet.com/production/dracula/. October 27 – November 5 – “The Legend of Sleepy Hollow” – A Play in Two Acts at the Village Square Theatre in Lexington. Based on Washington Irving’s tale, this is one fun story you will absolutely enjoy for Halloween so don’t miss out! For more information call (803) 359-1436 or visit http://www.villagesquaretheatre.com/season.html. October 27 – November 11 – “Evil Dead, The Musical” at the Trustus Theatre. This hilarious performance has been requested to return since 2014 and is based on the “cult classic films” so don’t miss out on this fun Halloween production! For more information call (803) 254-9732 ext. 1 or visit http://trustus.org/event/evil-dead-the-musical/. October 28 – Wil O’The Wisp at Saluda Shoals Park. Kids will enjoy face painting, games, crafts, a maze, train rides, a singing pumpkin show, s’mores and hot chocolate, and let’s not forget candy! For more information call (803) 731-5208 or visit http://www.icrc.net/will-o-the-wisp-2016-10-29. October 28 – “An Evening with Gladys Knight” at the Township Auditorium. You’ll have an enjoyable evening listening to this amazing award winning artist with guest saxophonist Mike Phillips. For more information call (803) 576-2350 or visit http://www.thetownship.org/events/. October 28 – “Flip Fabrique” at the Harbison Theatre in Irmo. This very unique show will include tremendous performers such as trampoline superstars, amazing hula-hoopers, tremendous acrobats, and much, much more so don’t miss this evening you won’t soon forget! For more information call (803) 407-5011 or visit https://www.harbisontheatre.org/tickets-productions/flip-fabrique. October 28 – Pumpkin Run at the Northwest Family YMCA. This is a 5K walk/run, a Kids Fun Run and a Run Hard 1 miler which is to encourage novice runners and elementary and middle schoolers to test out the fun of running a race. For more information send an email to iliaowens@columbiaymca.org or visit https://racesonline.com/events/ymca-pumpkin-run-5k. October 28 – Soda City Rock Show Monster Bash Halloween Show at the Music Farm. Featured bands will be New York Disco Villains, The Haves, Stardog, Gruzer, and Isabell’s Gift, so come out for a great Halloween party! For more information visit http://www.musicfarm.com/event/1508375-soda-city-rock-show-monster-columbia/. October 28 – “The Weekend Starboy World Tour” at the Colonial Life Arena. This will be a fun evening of great music! For more information call (803) 576-9200 or visit https://www.coloniallifearena.com/the-weeknd.php?eventid=141. October 29 – “Make Me Dance Tour” at the Township Auditorium. This back to school performance will include Silento, Lucky Starr, Taylor Girlz, and many more! For more information call (803) 576-2350 or visit http://www.thetownship.org/events/. October 30 – USC Symphony Orchestra at the Koger Center for the Arts. You’ll enjoy an evening of their performance of Beethoven’s “Pastoral”. For more information call (803) 777-7500 or visit http://www.kogercenterforthearts.com/event.php?id=420. October 30 – “Alive and Kicking” at the Nickelodeon Theater. This production tells the history of swing dancing “starting with the emergence of the Lindy hop. For more information call (803) 254-8234 or visit http://nickelodeon.org/films/alive-and-kicking/. October 31 – Halloween Hoopla at the EdVenture Children’s Museum. This family friendly event will include a slime machine, pumpkin smashing, a costume contest for the grown-ups, surprises behind 10 doors, and lots of candy! For more information call (803) 779-3100 or visit http://www.edventure.org/events/halloween-hoopla-4-8pm/?for=10-31-2017. October 31 – Halleluiah Festival / Trunk or Treat at Bethel AME Church. This safe alternative to truck-or-treating will include games, prizes, a bounce house, trunk-or-treat, and food at no cost. For more information visit http://bethelcolumbia.org/event/1001213-2017-10-31-hallelujah-festival-trunk-or-treat/. October 31 – “Donny Darko: 15th Anniversary” at the Nickelodeon Theatre. No Halloween is complete without this sci-fi tale with a time travel pre-show and trivia, and if you wear bunny ears, you get a free small popcorn! For more information call (803) 254-8234 or visit http://nickelodeon.org/films/donnie-darko-15th-anniversary/. October 31 – Tin Man Tuesday: Halloween in Oz at the South Carolina State Museum. There will be games, a trick-or-treat scavenger hunt, a ghost tour, a Land-of-Oz walk-through, the 4D theater and planetarium shows, and a costume contest! For more information call (803) 898-4921 or visit http://scmuseum.org/calendar/tin-man-tuesday-halloween-oz/. November 2 – “Iration – Intergalactic Tour” with “Furtunate Youth” and “Through the Roots” at the Music Farm. Fill your evening with sounds of the islands! For more information visit http://www.musicfarm.com/event/1533512-iration-intergalactic-tour-columbia/. November 3 – “Intruder” at the Nickelodeon Theater. The night stock crew of a local grocery find themselves “stalked and slashed by a mysterious maniac”! For more information call (803) 254-8234 or visit http://nickelodeon.org/films/intruder/. November 3 – Happy Hour on Main starting on the Gervais Street side of the State House. Take a tour of this historic street that boasts a variety of architectural styles spanning 300 years. For more information call (803) 252-1770 ext. 23 or visit http://www.historiccolumbia.org/events/happy-hour-on-main-street. November 3 – “Jon Bellion – Human Condition Part III” with “Blaque Keyz” and “Travis Mendez” at the Music Farm. Jon Bellion is a rising star, so don’t miss his show as well as the shows of the guest bands. For more information visit http://www.musicfarm.com/event/1492989-jon-bellion-human-condition-columbia/. November 3 – 4 – Civil War Symposium at several locations around Columbia. Start the weekend with a reception at the Robert Mills House followed by Saturday starting at the Archives and History Center with several great speakers on the topic and ending with a cemetery tour of two of the oldest cemeteries in the area. For more information call (803) 896-0339 or visit https://scarchivesandhistoryfoundation.org/2017/08/29/20th-annual-civil-war-symposium/. November 3 – 5 – Craftmen’s Christmas Classic Arts and Craft Festival at the Cantey and Goodman buildings at the State Fairgrounds. Here is your chance to put a dent in your holiday shopping list with thousands of choices to choose from and something for every budget! For more information call (336) 282-5550 or visit http://www.gilmoreshows.com/. November 4- Christmas Arts and Crafts Show at Lexington Middle School. There will be 40 different crafters with a variety of items from jewelry to pottery to holiday crafts and there will also be a silent auction to benefit the Harvest Hope Food Bank and best of all, there is no admission! For more information visit http://midlandcrafters.wixsite.com/christmas-craft-show. November 4 – Ronald K. Brown “EVIDENCE” at the Harbison Theatre in Irmo. This award winning choreographer never disappoints with his tremendous dancers and profound performances so don’t miss the chance to see the amazing work of this talented artist. For more information call (803) 407-5011 or visit https://www.harbisontheatre.org/tickets-productions/ronald-k-brown-evidence. November 4 – Garden Tours for Gardeners at the Hampton-Preston Gardens on Blanding Street. Get a tour of these fabulous gardens led by Columbia’s garden staff seeing the antebellum garden restoration started in 2012 and Phase II improvements planned for the coming year. For more information call (803) 251-1770 or visit http://www.historiccolumbia.org/events/garden-tour-for-gardeners. November 4- Carolina Kick-Off at The Zone at Williams-Brice Stadium. This is a fun fundraiser for the Cystic Fibrosis Foundation where you get to do your favorite fall things – watch Carolina play Georgia and eat lots of great tailgate food, so come out and support this great cause. 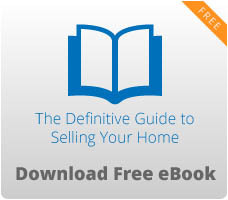 For more information call (843) 388-5968 or visit http://www.carolinakickoff.com/. November 4 – Carolina Craftisan Holiday Bazaar at the Celebrations Skating Rink in Leesville. You’ll not only have the chance to get started on your holiday shopping list at over 60 different vendors, but you’ll get to enjoy live entertainment and choose lunch a variety of food truck vendors as well. For more information call (803) 757-4362 or visit http://rhemaproductions.us/events.html. November 4 – South Carolina Philharmonic “Ravishing Rachmaninoff” at the Koger Center for the Arts. Enjoy an evening of delightful entertainment. For more information call (803) 777-7500 or visit http://www.kogercenterforthearts.com/event.php?id=464. November 4 – Hemophilia of South Carolina Turkey Trot at Saluda Shoals Park. This is a 5K run/walk to benefit Hemophilia of South Carolina to raise awareness of bleeding disorders and support the programs and services of the organization. For more information call (864) 350-9941 or visit http://hemophiliasc.org/programs-and-events/fundraiser-events/turkey-trot/. November 4 – Monthly Gospel Singing at the Midland Gospel Singing Center in Gilbert. Groups for this month’s concert are The Pathfinders and God’s Tookbox so come out and enjoy a fun evening of inspiring music. For more information call (803) 719-1289 or visit https://www.midgsc.com/concerts. November 4 – Storybook Ball at the EdVenture Children’s Museum. Children will enter into a world of storybook magic with kings and queens and other fabled characters with storytelling, magic, artisans, and more so have your children dress as their favorite storybook character and enjoy an evening of tremendous fun with your kids! For more information call (803) 779-3100 or visit http://www.edventure.org/support-us/events/storybook-ball/. November 5 – South Carolina Run for the Fallen 5K at the South Carolina State House. At this event, teams of volunteer runners’ complete segments of 120 miles in remembrance of all the servicemen and women from South Carolina who died since September 11, 2001 with each mile dedicated to a fallen hero and the event will culminate in a 5K memorial run through downtown Columbia ending at the State House. For more information send an email to scrunforthefallen@yahoo.com or visit http://scrunforthefallen.org/. November 6 – “Kiki” at the Nickelodeon Theater. This is a show about the dance “voguing” which is “a stylized and accomplished form of dance performed in the underground ballroom community” identified as “a political form of contemporary dance.” For more information call (803) 254-8234 or visit http://nickelodeon.org/films/kiki/. November 7 – “Dolores” at the Nickelodeon Theater. In 1962 the activist Dolores Huerta joined Cesar Chavez in helping to create the National Farmworkers Association as a step to fight for farmworkers rights. For more information call (803) 254-8234 or visit http://nickelodeon.org/films/dolores/. November 7 – “No Man’s Land” at the Harbison Theatre in Irmo. On screen you’ll have the chance to see this live performance of the Harold Pinter classic from the National Theatre in London. For more information call (803) 407-5011 or visit https://www.harbisontheatre.org/tickets-productions/ntl-screen-no-mans-land.